Baby Bjorn Original Spirit just $60 Shipped! 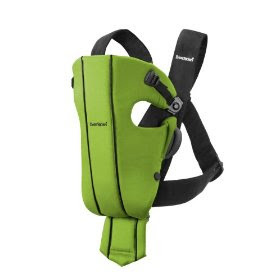 Grab the BABYBJÖRN Baby Carrier Original Spirit in green for just $60 (reg. $80) w/Free Shipping! That’s 25% off and I love, love, love this color! LeapPad Bundles Back in Stock at LeapFrog! List of Hot Amazon Baby Deals!